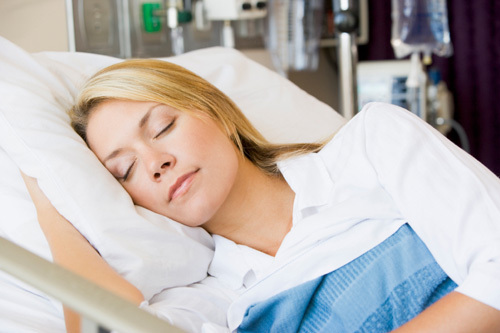 New research from Georgetown University Medical Center indicates that resting for at least a day after sustaining an injury to the head is indeed a good idea. Neuroscientists who conducted the research on lab mice have discovered that resting lets the brain heal by allowing for inflammation to subside. This is even more important for athletes and people who have an increased chance of getting repeated concussions—for them, this advice is crucial because the damage can and does accumulate over time, as researchers are beginning to see more clearly through continued research. The study, which will be published in the March issue of American Journal of Pathology, studied the impact that daily and weekly trauma has to the head. Studies were conducted on mice that were anesthetized for the process. In the mice with daily trauma, the results clearly show that the brain’s white matter is damaged, and effects both worsened after two months and were still apparent a year later. In the mice with weekly trauma, the brain was able to repair itself and restore neuronal connections within three days. These findings are particularly useful in helping researchers understand the effects continuous concussions may have on athletes, and why the advice doctors give to rest after a head injury is not only right, but vital. Mild concussions that happen as one-offs are less of a concern because the brain has ample opportunity to recover. Without enough time, the brain won’t be able to heal. There has been much discussion on concussions, and the media have placed more attention on them recently over the past few years. Concussions can affect anyone, from little kids playing hockey to professional athletes; in fact, children are more prone to the injury. A concussion happens as a result of trauma to the head, usually by a forceful blow of some kind—a foreign object could strike you, or you might slip and fall on the ice, or it could happen after getting hit in a high-contact sport. Most people don’t even know they have a concussion, because they feel fine and don’t experience any symptoms, but even these minor cases require rest so the brain can heal properly. Common symptoms of a concussion include blacking out for a period immediately after falling, headaches that can range from mild to severe, loss of memory, including any recollection of how the injury happened, vomiting, confusion or feeling dazed, slurred speech, and dizziness. Some symptoms don’t show up for hours or days after the concussion, including personality changes, taste and smell disorders, sensitivity to light and sound, disturbances in sleep patterns, and changes in concentration and memory. “First-Of-Its-Kind Study Explains Why Rest Is Critical After a Concussion,” Georgetown University Medical Center web site; https://gumc.georgetown.edu/news/First-of-Its-Kind-Study-Explains-Why-Rest-is-Critical-After-A-Concussion, last accessed February 7, 2016.